Date + Time Started: A major brush broke out at 1800 hours on Sunday, June 4, 2017. Cause: Accidental spark from a BBQ along the Columbia River. The Sheriff’s Office says there will be no criminal charges filed. 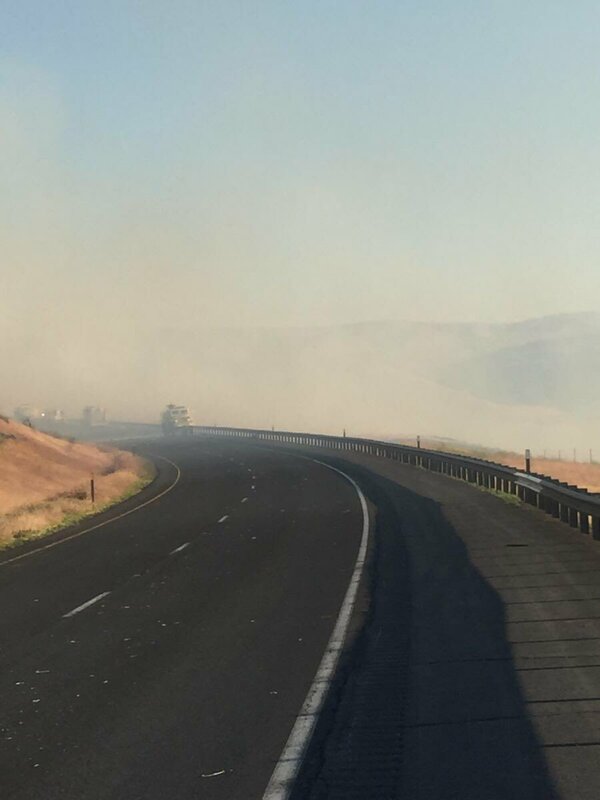 Location: The fire was said to have broken out 11 miles West of George between I-90 and the Columbia River (per PD). Other sources said the fire was more specifically located in the Frenchman Coulee area near I-90, Mile Marker 142, about 4 miles East of the Vantage Bridge (per FD). Acreage: The fire appears to be wind-driven. PD estimates the fire at about 1,000 acres but other sources are saying the ROS is much more greater and well over the preliminary estimates. There has been a 100% containment and the fire has said to be under control. No word when it will be completely out but we are guessing they may be handling that throughout the night. Command: Unified Command with GCSO PIO Kyle Foreman and WSP PIO 6 Trooper Brian Moore. 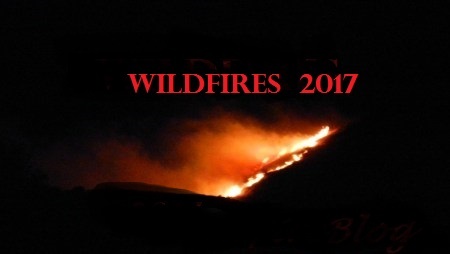 Fire Resources: The following Agencies have been dispatched and are currently en route: Grant County Fire District 5, 10, 11, 13, Ephrata Fire Department and BLM. Air Resources: There were none on scene as it was stated due to sundown. Law Enforcement Resources: Grant County Sheriff’s Office and Washington State Patrol. Fire Weather: The current weather conditions(as of 2052 Hours PDT) are sunny and clear with winds at 24 mph with gusts up to 35 mph. The dew point is 36*F. Visibility is 10 miles. The RH is 42%. Traffic Closures: WSP has opened both lanes on I-90 and traffic is flowing through the area.